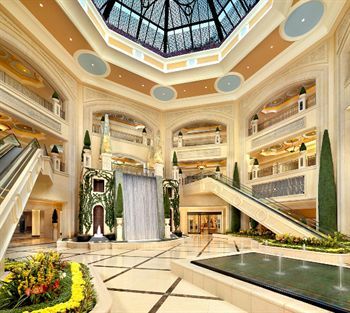 The Palazzo Resort Hotel Las Vegas is located about 3 miles from the Las Vegas downtown area and proximate to another large lodging facility to which it is connected by enclosed walkways. golf course. 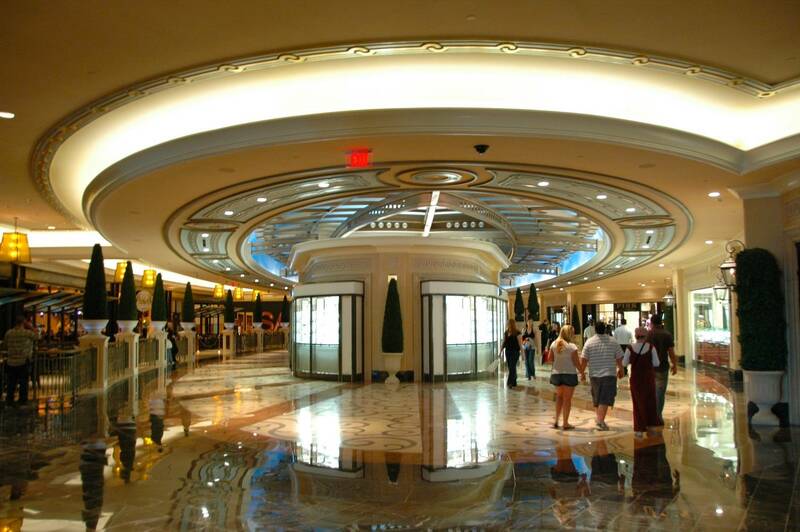 The airport is available from the Palazzo Resort Hotel Las Vegas via public transit or by car. 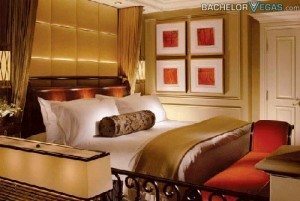 The rooms at the Palazzo Resort Hotel Las Vegas are suites which are designed in a bi-level configuration which allows for the separation of living, working and entertaining space from the sleeping area. There are over 3,000 such suites at this 50-story facility and they are appointed with luxury amenities including wireless Internet access, HDTV with cable service and fully-stocked refreshment areas. and the sort of entertainment for which Las Vegas is famous. There are restaurants and lounges, outdoor swimming pools and a spa, a 24-hour concierge who can help guests navigate the city and a car rental service. Guests at leisure can bask in the sun at ten acres of pools, indulge at the Canyon Ranch SpaClub, shop at more than 130 boutiques, dine at 30 critically acclaimed restaurants, or challenge Lady Luck in one of the spacious and spectacular casino floors. Then, after catching a romantic gondola ride on the Grand Canal, they may opt for one of the many blockbuster shows on-site, including Andrew Lloyd Webbers incomparable Phantom—the Las Vegas Spectacular and the newest addition, the 2006 Tony Award-winning Jersey Boys.